For "The Ocean," the nets the castaways were tasked with clinging onto were dropped to a 45-degree angle. Following the rehearsal, the formation of the targets were changed to make it a bit harder for the competitors and more visually appealing for the viewers. The way the cameras were positioned for this particular challenge really showed off just how up-close-and-personal the crew was able to get. 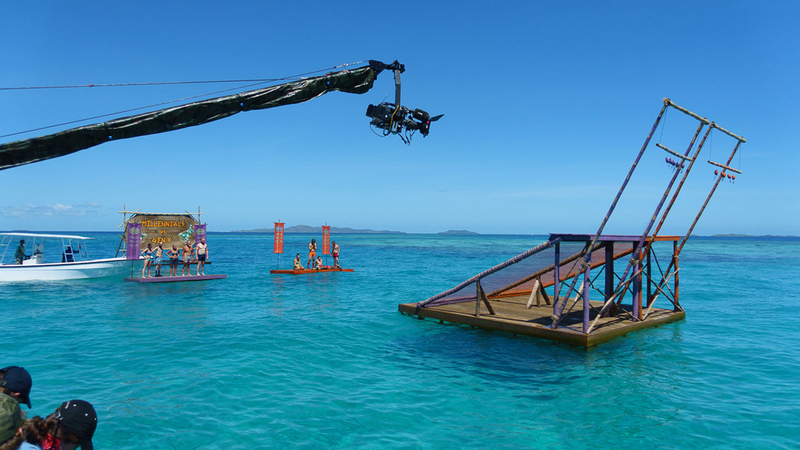 Watch the castaways compete in "The Ocean" in Episode 2, Season 33 of Survivor: Millennials Vs. Gen X.